Doctors and scientists from around the world are proving the effectiveness of hypnotherapy for Fertility and other reproductive challenges. A recent Israeli study showed that the success rate of IVF treatments doubled in his test group from 14% to 28%, when the subjects underwent hypnosis during implantation. Professor Eliahu Levitas conducted this study with 185 women. Dr. Gayle Peterson has developed a technique called Body-Centred Hypnosis. Dr. Peterson has found that high anxiety states in the mother must be reduced in order to normalize pregnancy and birth. She cites several research studies that suggest a positive link between fertility and treatments based on hypnosis. She is a pioneer in the field of mind/body states and their effects on fertility, pregnancy and birthing. Dr. Alice Domar has been published in several important journals, such as Fertility & Sterility (1990 and 2000) and the J Journal of the American Medical Women’s Association (1999). She emphasizes “mind/body” techniques that include self – hypnotic suggestions to reduce stresses that interfere with conception and healthy pregnancy. Domar is the author of Conquering Infertility, and other books on the topic. Dr. Ernest L. Rossi specializes in psychobiology, or the relationship between the mind and physical body states. 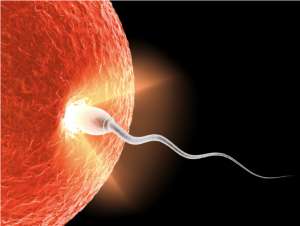 He has done extensive research to suggest that human genes must be in a state of physical readiness for conception to take place, and that hypnotic-type suggestions can activate specific genes, including the IL-1, c-fos, and the CYP17 in a specific order.